Recently we finished a project with energy storage technologies. We developed a website and partner portal, that allows them to store industry documentation to the private customer portal. Our next step is to help promote their site through organic SEO and strategic local business partnerships. Sun Style Design is very excited about the opportunity. 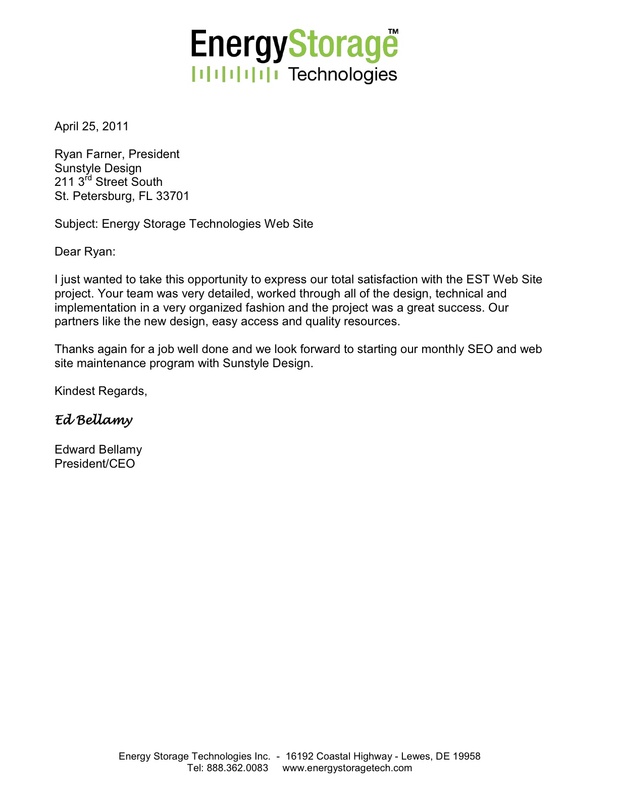 Thank you Energy Storage Technologies for the thoughtful testimonial letter.